While it can be rare for an individual on an average day to find themselves in a true life-threatening situation where the widely-known "fight-or-flight" response takes over, it’s incredibly common in today’s fast-paced, highly competitive, and stressful work environments for employees to endure these hormonal and physiological reactions. 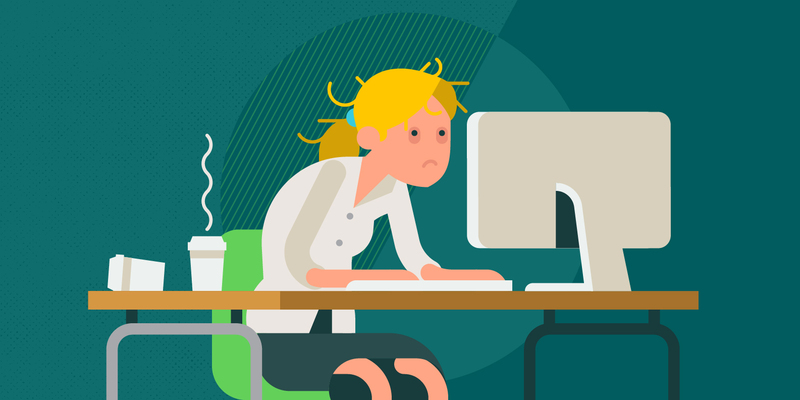 From demanding clients, colleagues and managers to deadlines, sales, and budgets, it doesn’t matter what title you hold or what industry you’re in, the workplace is stressful. More than lost productivity, and in conjunction with an increased spend on health care, stress is costing the average working American their health, demeanor, and outlook; indeed, their overall quality of life. The stress workers feel at the office undoubtedly follows them home, and the stress they feel in their personal lives certainly travels to work with them. It’s a vicious cycle that affects sleep patterns, eating habits, weight, attitude, performance, and so much more. Without reining stress levels in and keeping them in check, stress takes a significant toll on the body. According to Harvard Health, chronic stress leads to high blood pressure, attributes to the formation of artery-clogging deposits, and causes chemical reactions and changes in the brain that may cause anxiety, depression and addiction. For these reasons, and countless others, creating a culture of health and wellness has never been more important. And, keep in mind, a culture of health and wellness is so much more than providing more vacation or sick days, and goes beyond offering more comprehensive insurance. A culture of health and wellness is about empowering employees with the tools and skills needed to face life’s inevitable, everyday stressors, demands and challenges. It is about teaching them how to adjust their perspective and the way they think, and change how they react to ‘threatening’ – or tense, overwhelming, pressure-filled, nerve-wracking – situations and circumstances. Stress management training for employees can play a huge role in helping an individual take back control of their life, in and outside of work. You know your organization better than anyone. When it comes to stress management, what kind of support would your workforce benefit from the most? Before implementing a stress management training for employees, or a full-fledged wellness program, be sure its main focus is to permanently eliminate the root cause of unwanted stress and behaviors that lead to health issues. Nutrition: Gain power over food and lose weight naturally. Tobacco: Break free from tobacco addiction. Stress: Create a sense of calm and resilience. Fitness: Learn to love exercise one step at a time. Diabetes: Manage diabetes in a new, empowering way. Alcohol: Manage alcohol use and gain control. Sleep: Address destructive sleep patterns or insomnia. Adequately addressing and learning stress management skills in vital and high-risk areas of life can help individuals break down self-defeating beliefs, thought patterns and emotional dependencies that drive stress, anxiety, and unhealthy behaviors. Implementing a stress management program has been shown to help employees replace the negative, destructive thoughts and actions that drive stress with empowering beliefs, rational emotional responses, and healthy behavior patterns. Stress may be largely unavoidable in the workplace but allowing it to run rampant and adversely affect your workforce is preventable. Through Bravo’s uniquely structured cognitive behavioral training through Online Health University, your workforce can learn how to reframe their stress and completely transform the way they think, act and behave. Our online and telephonic coaching solutions can help employees manage their stress and reduce associated health risks, like high blood pressure. Learn how integrating wellness in the workplace can help your organization overcome industry challenges. Download our Wellness in the Workplace Guide to find out how you can overcome industry-specific challenges and cultural barriers to well-being. 1 The American Institute of Stress. Workplace Stress. Accessed December 10, 2018. 2 Tiny Pulse. 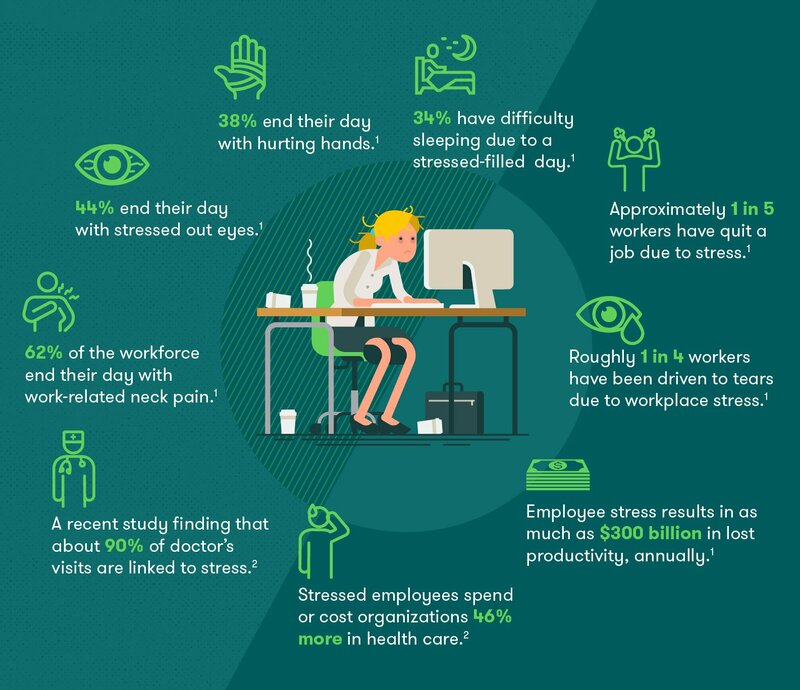 11 Shocking Stats About Stress at Work and How to Remedy Them. Accessed December 10, 2018. 3 Harvard Health. Understanding the Stress Response. Accessed December 10, 2018. Resources at your fingertips: Our health engagement portal provides articles, videos, and individual challenges to help employees manage stress and improve their health.